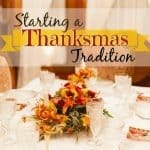 We all have that special child, niece, nephew, god-child, or simply a little person we adore. 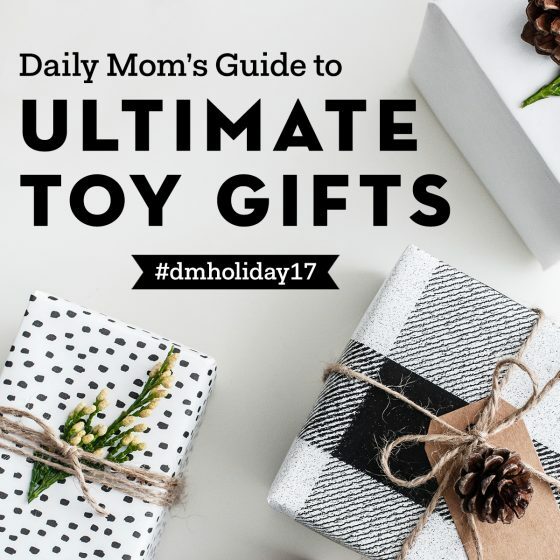 Sure, you can scour the various department stores and endless aisles and still not find the extraordinary toy that matches perfectly with their personality. But, we’ve sought out the very unique and put together the ultimate toy gifts for your special little person in your life. 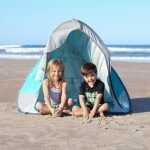 From boys to girls, outdoors and within, year-round ideas await you here. Let the excitement begin! 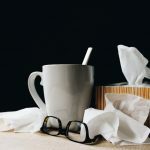 If your kids are like most, they just don’t. stop. moving. 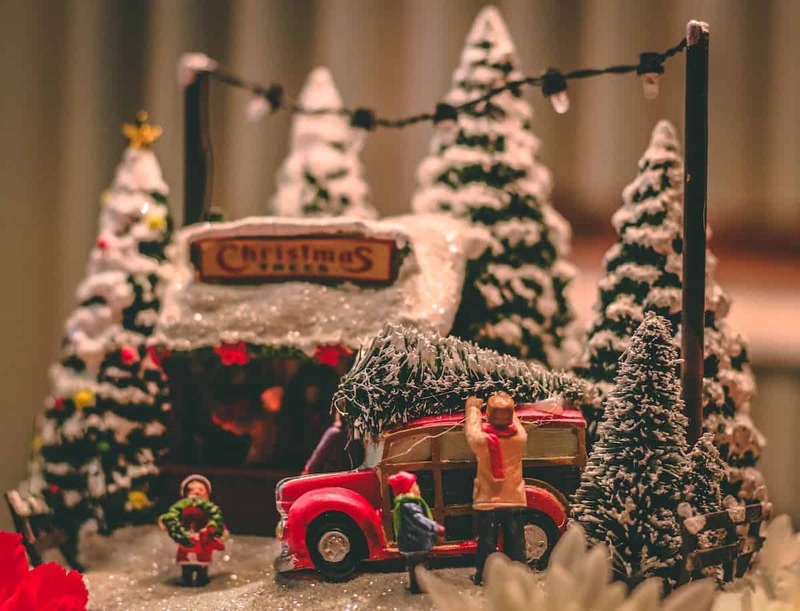 And what’s better to have under the tree this year than something that helps them move even faster, fine tunes their gross motor skills, and makes walks to school or the park even faster? 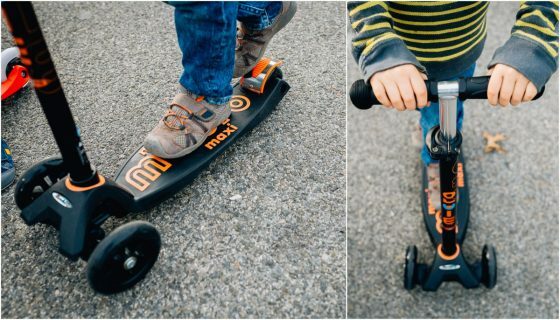 Micro Kickboard’s scooters are not like any other scooter – they are incredibly quiet, smooth, and sleek. 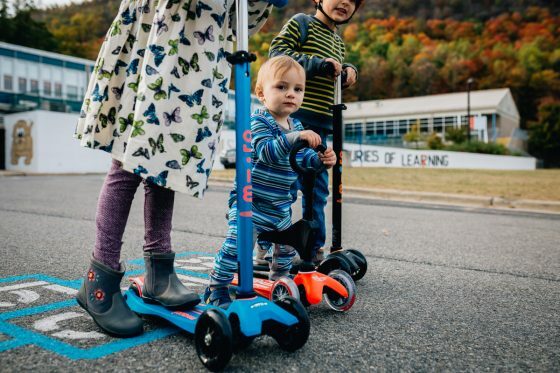 The Maxi Deluxe Scooter for kids ages 5 – 12 is not only the smoothest, quietest lean-to-steer scooter but also features new engineering that allows your child to maneuver the sidewalks as if they were surfing the waters. 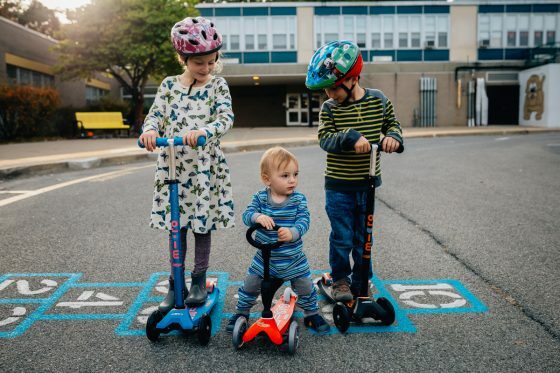 And not to be left out, the littlest scooter in your family can hit the sidewalks too with Micro Kickboard’s Mini 3in1 Deluxe for ages 12 months to 5 years old. This mini scooter transitions from a sit and scoot to a full scooter, all in one box. 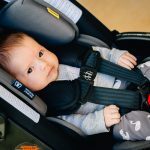 At age 1 start with the ride-on seat using one of two seat heights; at age 2, remove the seat for a stand-on scooter with short O-bar; at age 3 replace the O-bar with the T-bar to convert to the Micro Mini Deluxe for ages 2 to 5. 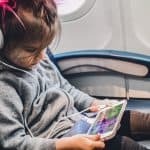 Are you searching for the perfect gift for a non-stop, always-on-the-go preschooler in your life? Instead of fighting the energy, embrace it, all while helping him/her develop a stronger sense of balance with a Strider bike. 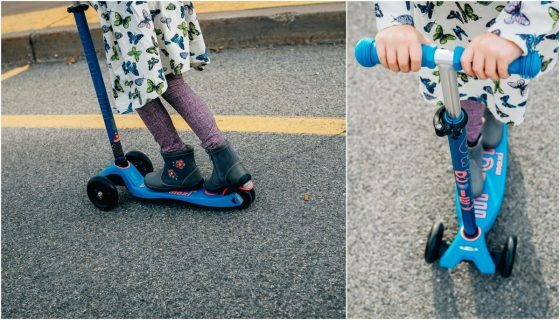 If you’ve ever heard of balance bikes, chances are you’ve heard of Strider. 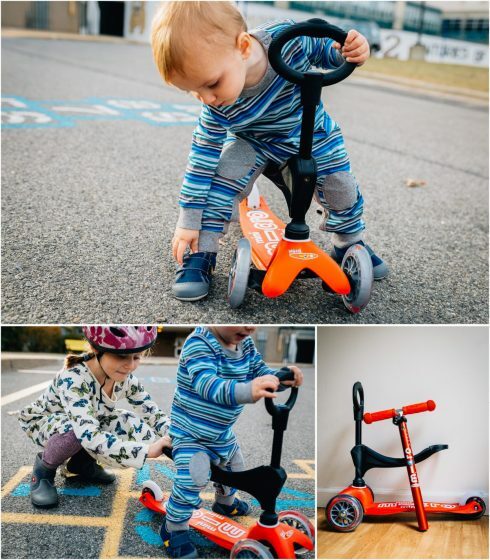 Perfect for tiny toddlers of 18 months all the way up to preschoolers of 4 or 5 years old, the balance bike allows your little ball of energy to perfect his/her balance and riding skills. 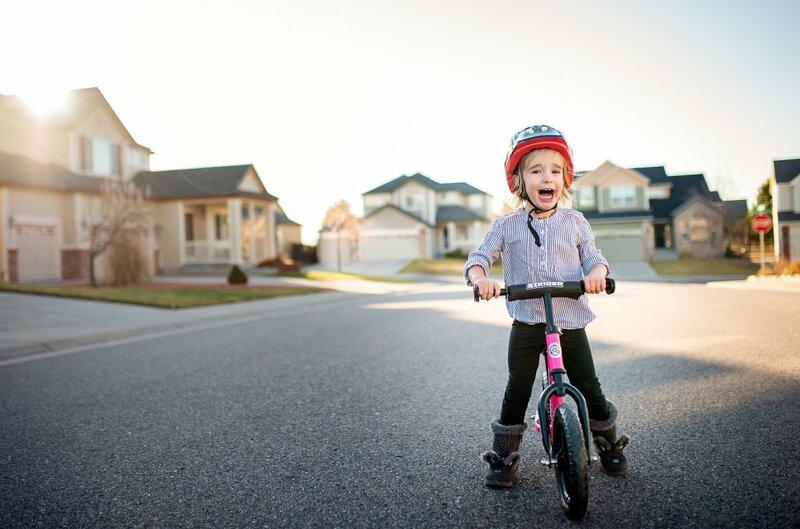 Because balance is most challenging part to learn, a balance bike is the best way to teach your child to ride a bike. 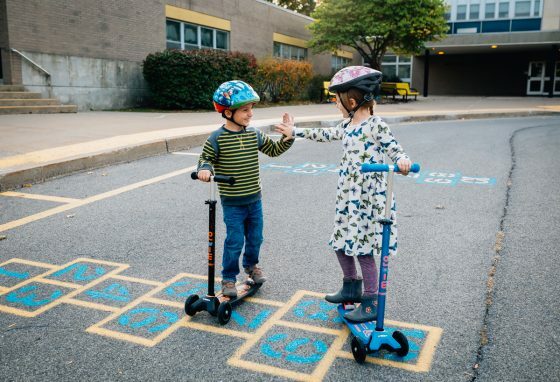 Strider Bikes have taught millions of children how to balance and ride on two wheels. 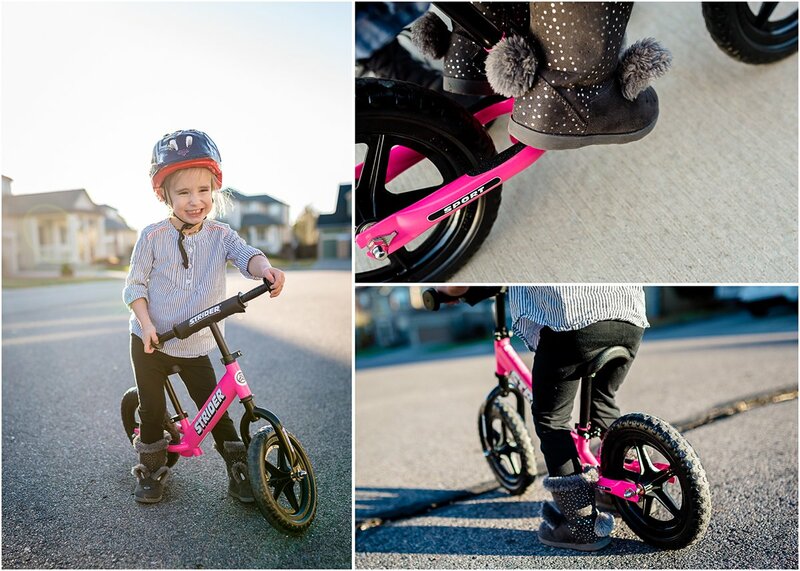 This is the 12 Sport Balance Bike and it’s not only Strider’s most popular model but the most durable and feature rich. 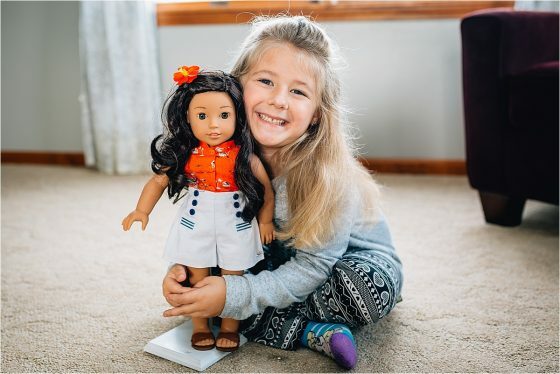 If you’re familiar with the American Girl Doll brand (and really, if you have a school-aged little girl, of course, you are!) you know that every year, they create a new historical doll character. For 2017, we got the opportunity to meet Nanea (pronounced nah-NAY-ah) Mitchell, who is a little girl from the island of Hawaii, growing up in the 1940’s. The full-length chapter book that comes along with her, Growing Up with Aloha tells her story of her family, and how they witnessed the historical attack on Pearl Harbor. 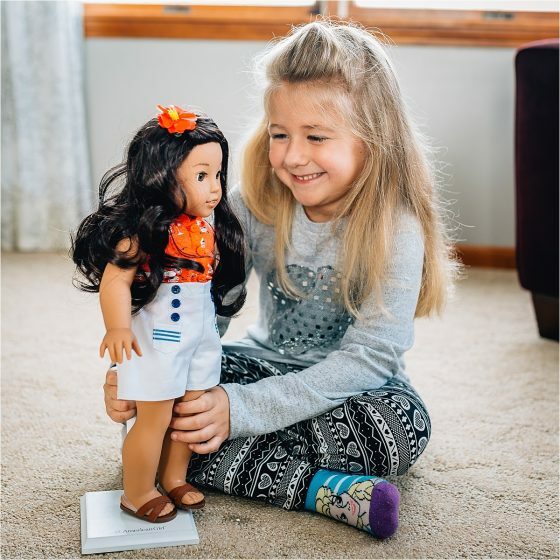 Like every 18″ tall American Girl doll, Nanea has a huggable cloth body, moveable head, and limbs made of smooth vinyl. 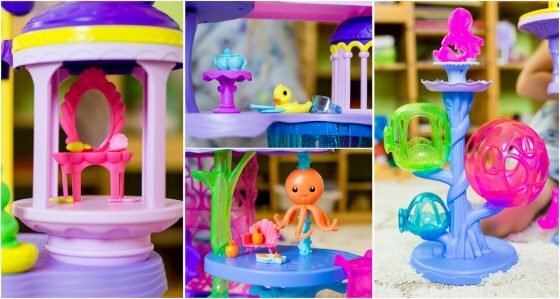 We also love the Play & Display Stand, for keeping the dolls looking cute and proudly displayed when your kiddo isn’t playing with them. If you are searching for a gift for the creative child in your life, look no further than Faber-Castell. 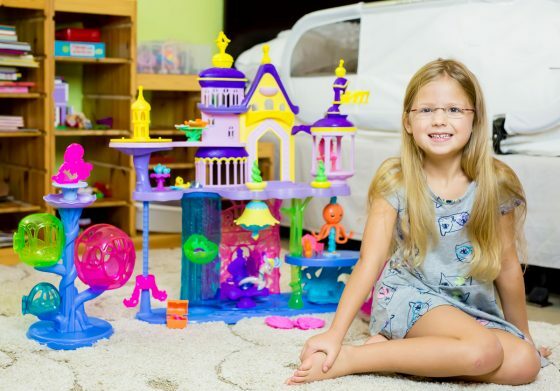 From inventing your own board game to the perfect day at the spa, there is something for all genders, all ages, and all interests. With longevity on its side, Faber-Castell is known for consistently delivering quality in addition to extensive quantity. 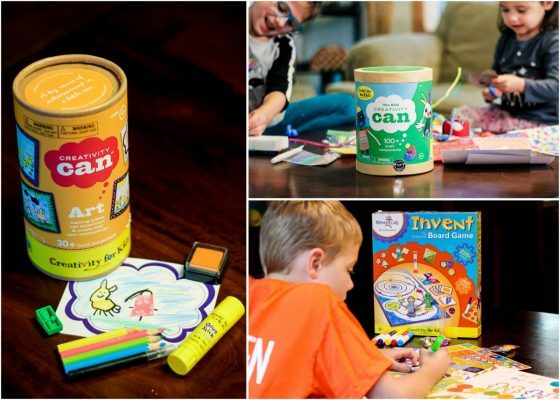 Their Creativity Cans offer open-ended crafting play that promotes critical thinking and problem-solving with endless possibilities. The Spark! Lab kits bring the Smithsonian to a living room near you with hands-on experiences. 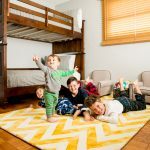 Their Deluxe Gift Sets beg to be shared with others and promote age-appropriate imaginative play. 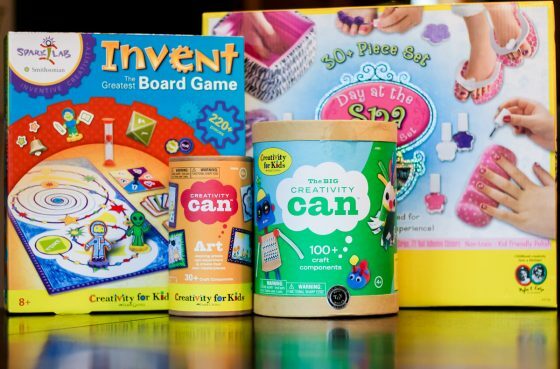 For gifts that will peak imagination and instill creativity, look no further than these fabulous boxed kits that are fantastically affordable! 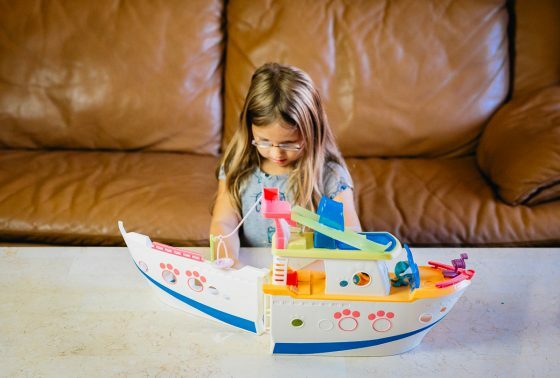 Are you searching for an educational toy that actually makes learning fun? 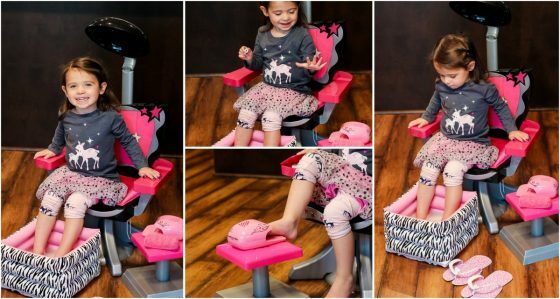 Kids will have endless fun with Janod Body Magnet Set. This set comes with one large hangable magnetic blank body board, 18 body cards, 76 body parts magnets and one pointer stick. 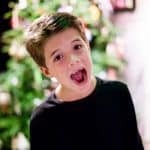 Children can build muscular systems, skeletal systems, organ systems or the basic human skin shape on both male and female forms. 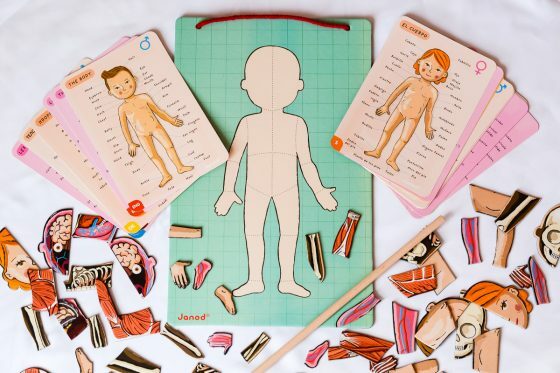 Each body card comes intricately labeled in 9 different languages, so children can learn about body parts and systems in languages other than their own. 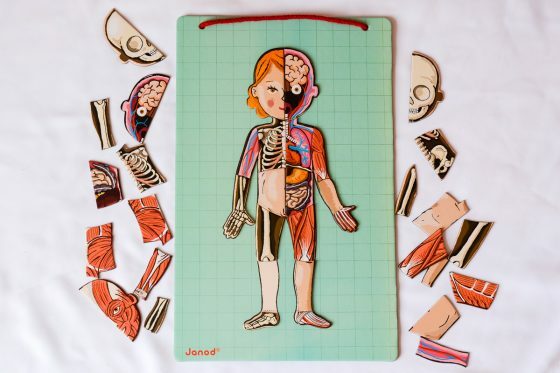 There is so much to learn and discover about the human body in this single set! 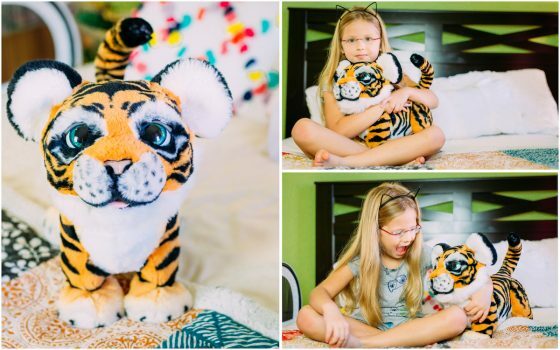 The newest furReal pet is this amazing Tiger and he is on the top of the toy lists this year. 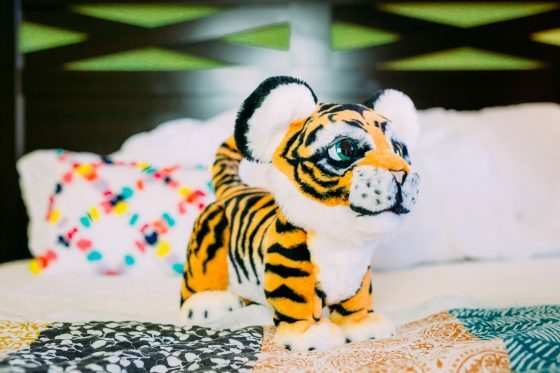 Like all the furReal animals, furReal Roarin Tyler, the Playful Tiger is incredibly lifelike and will be loved by any child lucky enough to find him wrapped up during Hannukah or on Christmas morning. 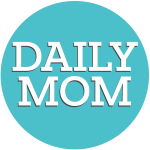 He is playful and engaging, responding to your child with 100+ sound and motion combinations. 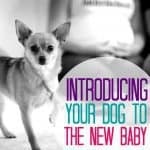 He responds to pets, nuzzles, and even roars back to your child. The way his eyes, ears, head, mouth, and tail move make him so realistic. His roar might be the cutest thing ever! Tylers fur is incredibly soft, making him huggable and able to cuddle with your child at night. 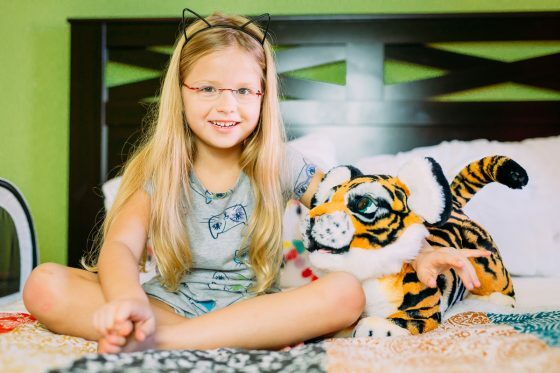 If you have a child who loves animals or wants a pet, Tyler is the ideal gift! 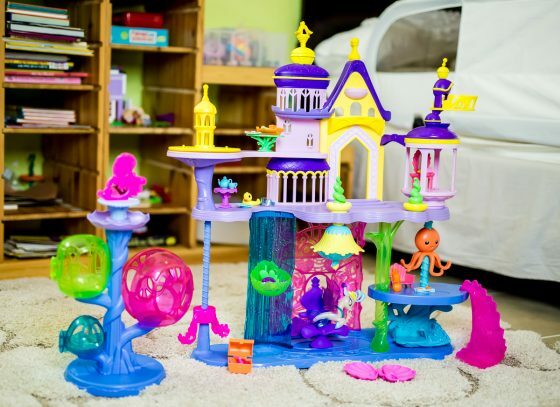 Perfect for the My Little Pony Fan on your list this year. The castle has a dance floor. There is a hidden treasure chest for hiding things that opens and a gorgeous chandelier. 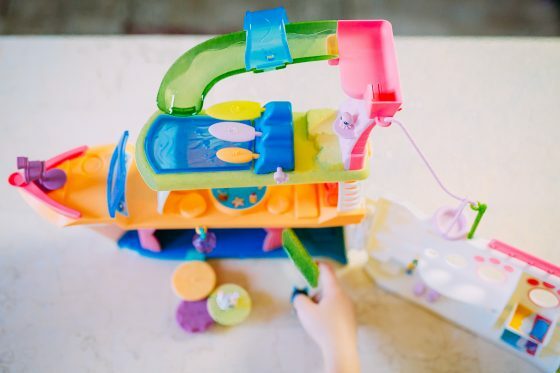 The ponies can go down the slide or ride the elevator back up. 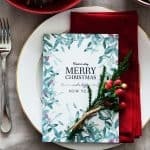 Perfect for those who need a loving reminder of back home. 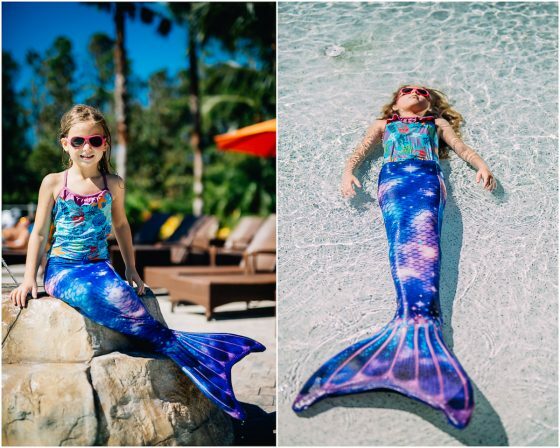 Being a mermaid is a dream for many little girls. Lets be honest, it is a dream for most of us still. 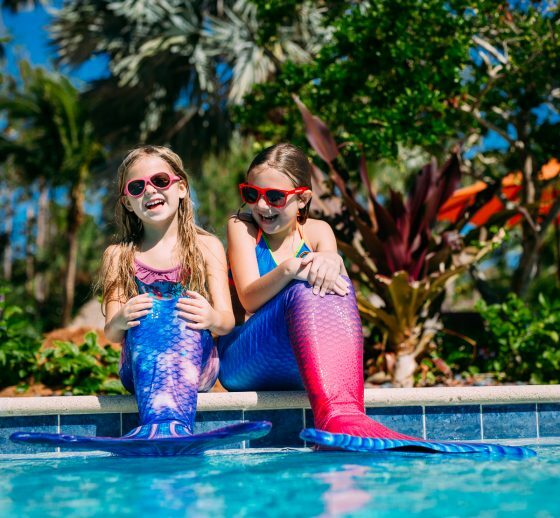 Fin Fun makes that dream come true with their gorgeous, wearable mermaid tails for kids and adults. 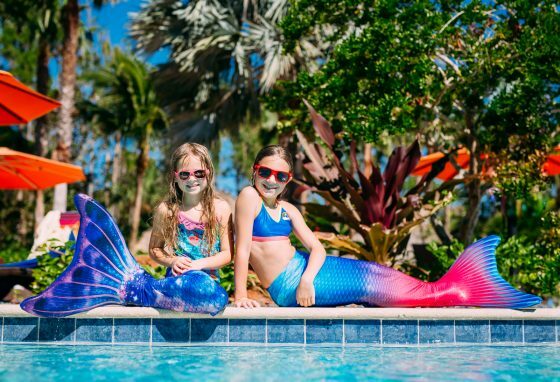 You can surprise your daughter with the mermaid tail of her dreams this year. 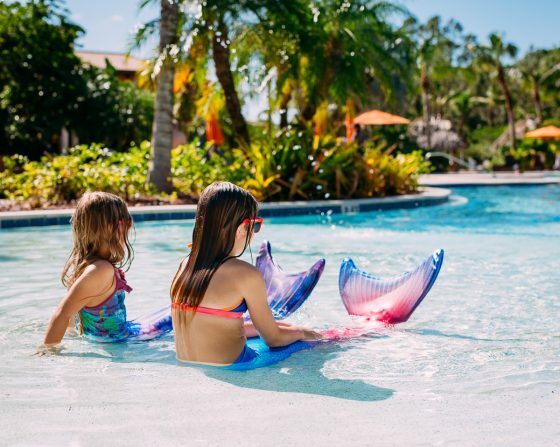 This will be a must-have accessory for the pool and you will take some amazing photos at the beach on your next trip with a tail from Fin Fun. 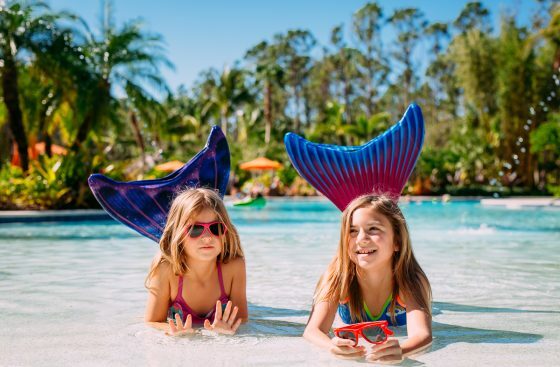 You can actually swim in these fins and thanks to their new patented reinforced tips, you do not need tip protectors for the tail. The tail will not shred or tear! 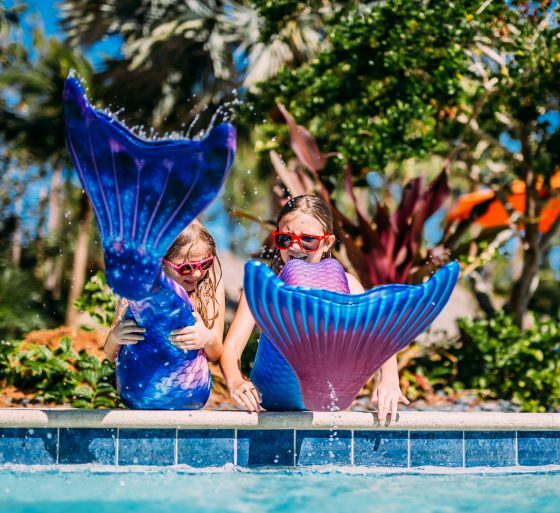 Fin Fun mermaid tails have an ultra shiny texture making them even more magical. There are tons of designs to choose from with new ones getting added all the time. The Maui Splash shown here is blue and fuchsia with incredibly detailed scales throughout the design. The ombre look is amazing. The Lunar Tide also shown here features a groovy celestial design of stars and nebulas incorporated throughout the tail. The deep rich tones of navy blue, rose, and lavender transport you to another planet. 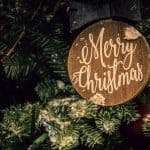 Fin Fun is a truly unique gift! 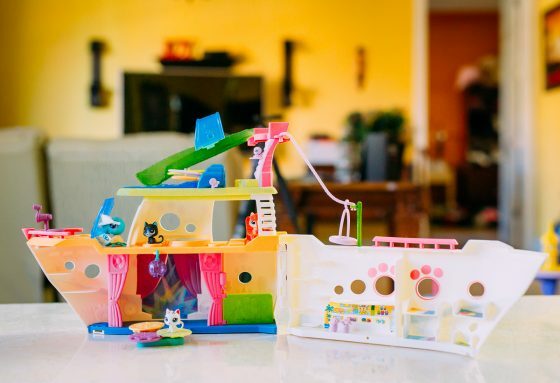 If your child loves The Littlest Pet Shop, the LPS Cruise Ship is probably on her wish list this holiday season. 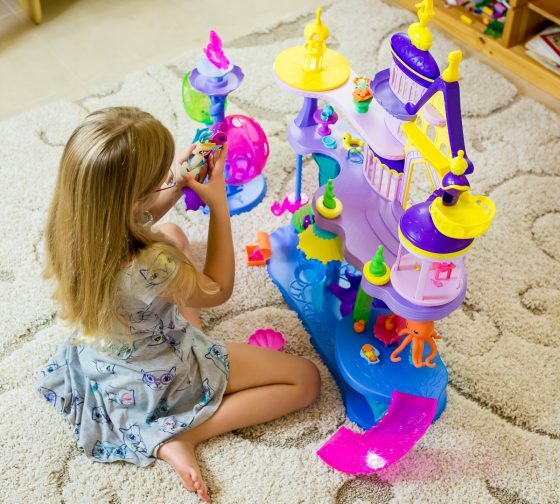 The ship is a play set that opens up for lots of room for imaginary play with her Littlest Pet Shop pals. There is 1 classic turtle, 1 mini cat, and one teensie octopus aboard the ship. Turtle is the captain of the ship! Accessories like the lounge chair with tropical drinks make the play so interactive. 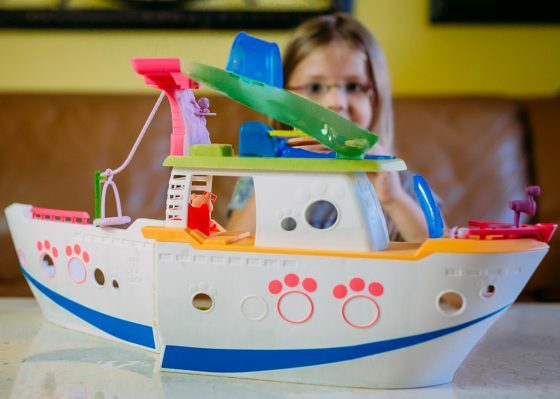 Decorate the ship with the included stickers and let the fun begin. 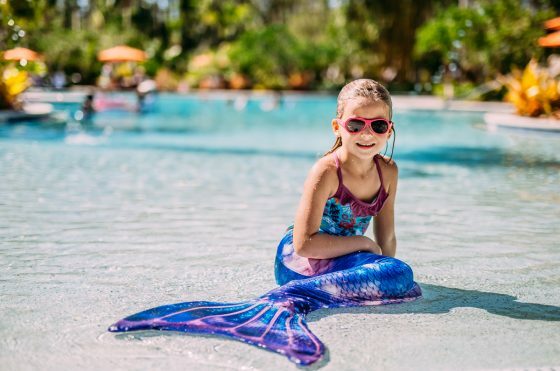 Pets can play on the deck, go inside the cabin, slide down the water slide, and more! 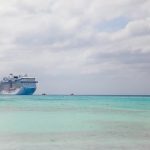 When the cruise comes to an end, everything can be packed away neatly for storage. 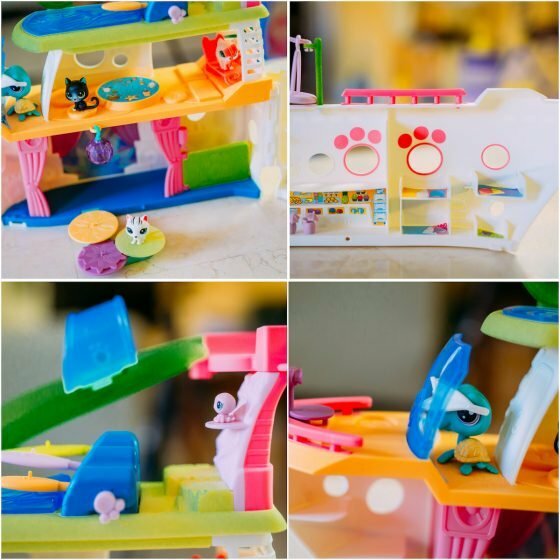 Up to 30 pets in different sizes can come aboard the Littlest Pet Shop Cruise ship!